The world belongs to those who can see beauty. 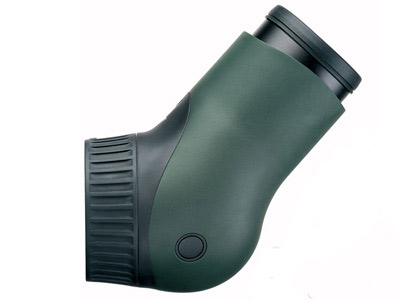 Attach this ATX Modular eye piece to either the new 65 mm, 85 mm or 95 mm spotting scope. With the ATX/STX family, SWAROVSKI OPTIK has reinvented the spotting scope. For the first time, you can change a scope’s performance by changing the objective lens, allowing you to adapt it according to the situation in which you want to use it. Two eyepiece modules (angled/straight) and three objective modules with diameters of 65, 85 and 95 mm can be assembled to form six different telescopes. Both these essential components can be carried easily and safely and take up a minimum of space because they can be detached from one another. This puts an end to the problem of deciding between optimum luminosity / detail recognition and portability. The ATX Modular eyepiece has an extended-eye-relief ocular lens, with a “field-flattener” lens design that provides high contrast and correct geometry all the way out to the edge of the image. 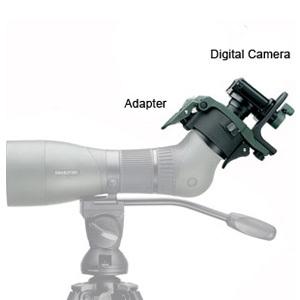 NOTE: The eyepiece is built into the rear module — it is non-removable and you can’t swap in a third-party eyepiece. However, digiscoping adapter can also be fitted in the rear. With front and rear modules joined, the zooming and focusing rings are located right next to each other. 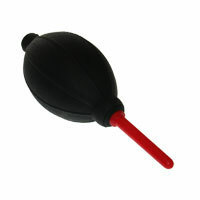 This allows you to zoom quickly, and then easily fine-tune the focus without moving your hand. Centralizing both controls is smart because you don’t have to take your head away from the eyepiece to look for one control or the other. Your hand can stay in one position. We’ve always liked the large-diameter focus rings on Swarovski spotting scopes. 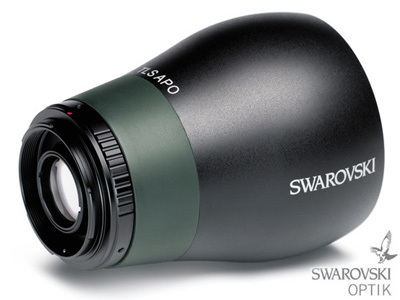 Now, with the new modular Swarovski system, you get the advantage of a large-diameter, centralized zoom control as well. Anyone looking for serious equipment of proven quality will be pleasantly surprised by Swarovski’s ATS/STS HD Spotting Scopes. These spotting scopes provide unbeatable value, durability, and a light-weight modular design which easily and affordably accommodates upgrades. 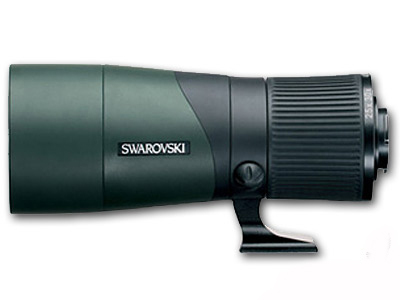 Whether you want to start with a 65mm objective lens and upgrade to a whopping 95mm objective lens, the Swarovski ATS/STS HD Spotting Scope series allows for such upgrades without buying an entirely new body. Revolutionary design, outstanding performance and a wide range of choices make the ATS/STS a leader in the world of spotting optics.